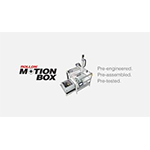 Rollon Corporation is a manufacturer of linear motion systems, telescopic guides, linear actuators and cartesian robots. 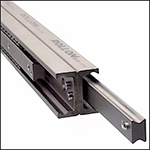 Our products include the Compact Rail linear guide, Telescopic linear guides, actuators and gantry systems that are designed to meet the requirements of engineers involved in designing for applications in the fields of industrial automation and robotics. Rollon has a dedicated engineering staff located throughout the USA and servicing all of North America. Our engineers are experienced in applications across a variety of industries including industrial automation, machine tools and robotics, plant assembly, packaging machinery design, semiconductor, medical and pharmaceutical plus other capital equipment such as construction and specialty vehicles, aircraft, and passenger trains. Rollon has the capability to create engineered solutions and custom products for OEM’s and machine builders everywhere to solve unique and difficult applications.